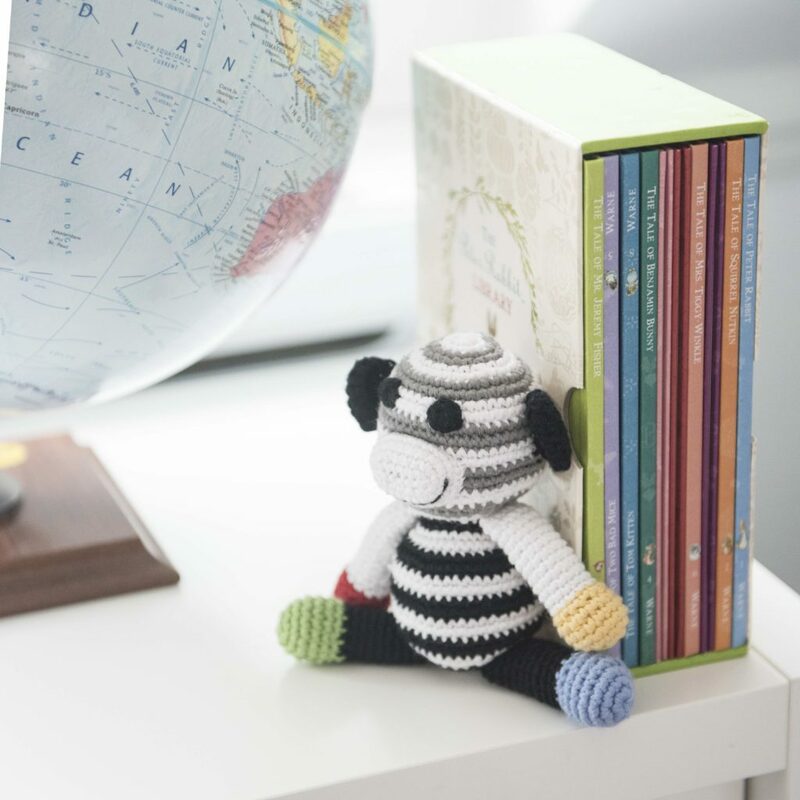 This season we have restyled our cute little monkey rattle in black and white. But why do babies love black and white so much? Babies can see from birth but they cannot focus so far away. They can only focus to about 20-25cm which is perfect for them to see mummy’s face while she’s feeding them. Until babies are about 6 months old they will respond best to contrasting colours and geometric shapes as such the experts all say that visual extremes are best to catch a baby’s attention at this very young age. The idea being that if the baby responds better to the black and white contrasting colours then they will engage for longer with it. This stimulates visual development and at the same time encourages physical development, like grabbing and kicking. Not only that there have been studies to show that this type of contrasting coloured toy can lead to better concentration, stimulation of brain cell connections, increased attention span and curiosity. Which apparently all leads to increased confidence and sense of self and greater creativity and self expression. That’s the science behind it! 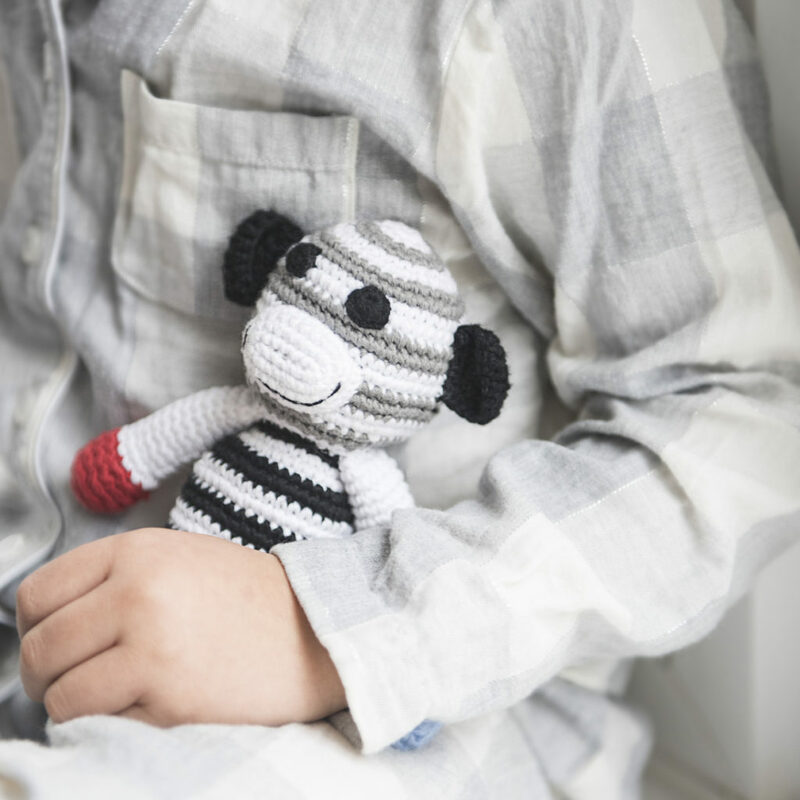 We’d love to hear about how your little one responds to the new black and white monkey. And we are currently sampling other new black and white toys to bring in to the collection in June.